First images hint at great things to come. 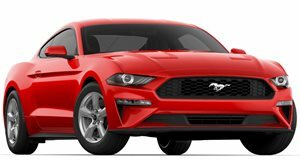 In the first of many modified models that it plans to create for the new 2015 Ford Mustang, Roush has just revealed some initial images for the upcoming muscle car icon. Receiving a private viewing, the folks at Automobile Magazine have shared these awesome pictures of the car, which features an aggressive new body kit that transforms the Mustang into a whole new creation. First off, it has been given a new hood with a massive power-dome, in addition to a new front bumper and redesigned grille. In the back, a new spoiler, rear bumper and diffuser infuse the car with aggressive looks, with 20-inch wheels completing the exterior. No specs have been released for this modification, but we do know that Roush will be offering special body kits for each of the Mustang engines.